FIFA 19 is one of the most authentic representations of the world's favourite sport that money can buy, boasting thousands of real-life players and hundreds of clubs. However, it's not entirely faithful to The Beautiful Game, because there are some odd omissions. Our friends over at Eurogamer have pointed out that Croatia - finalists and runners-up in the recent World Cup in Russia, lest we forget - are entirely absent from FIFA 19, and have been missing since FIFA 12, in fact. The reason is quite boring - it's all about money. 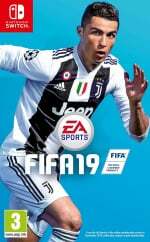 The reason why Croatia is not in FIFA 19 is because [the] Croatian Football Federation and EA could not come to an agreement that would satisfy both sides. Obviously, we value FIFA World Cup silver medallists and world's best player in 2018 more than EA currently does with its offer, and we will continue protecting the value and image of the Croatian team and our players. We understand and share disappointment by the gamers and we hope this matter will be resolved in the future - HNS is more than open to that, and we hope EA will also listen to its consumers and respect their wish to have Croatian team available in the game. It is understood that in 2012, EA offered Croatia 100,000 euros for the rights, and Davor Šuker, former Croatian soccer star and the current boss of the Croatian Football Federation, is said to have declined the offer - a stance that continues to the present day. As Eurogamer points out, this isn't the only inconsistency seen in FIFA 19. Brazil - one of the best teams in the world - is present in the game, but the team is comprised of fictional players, with the exception of Neymar. We guess that the world of sports licencing isn't as straightforward as we were led to believe. They should be in the game. Interesting. I wasn’t aware as I don’t particularly follow the game. I was enormously disappointed when I had bought FIFA 12 on 3DS and there were no Turkish teams whatsoever. I wouldn’t have bought it if I had known (and without some transparency in this regard, I didn’t buy any subsequent instalments). Perhaps Davor Suker is a PES fan? Or maybe he got scammed by some loot boxes and is making a stand? I recall a FIFA game in the past where the Netherlands didn't feature. You know, now would be a perfect time for PES come back. Grab all those licenses(specially Brazil's), and come back to the big boy table Konami. What's with the clickbaity headline? Let’s go back to the old days of sports titles with fake team names! What's the point in having the FIFA license then? Are the Croation and Brasilian national team players on their respective clubs at least? "If it's in the game, it's in the g-" Oh. @MattFox Konami has the Brazilian liscenses for the clubs. Pity they butcher everything apart from the gameplay. But then, they ain't on Switch, so I couldn't be arsed. @DockEllisD No, they are not. Wait! Aren’t they in FIFA18? I’m pretty sure I played against them in the Workd Cup mode since they were in my country’s same group. I’m more shocked with the information about Brazil than Croatia non being present. Anyway, they deserve to be there!!! Does the fifa series have a team/player editor? I haven't played sports games in a long time, the last being NBA/NHL 2K2 on the Dreamcast, both of which allowed you to create your own team and players. I never made any teams to match existing teams, but rather made teams consisting of super deformed players. I don't think many people care about this to be honest. Just EA being EA. I doubt EA is losing 100,000 euros in sales over this, so I suspect they're happy enough. @gortsi Modric is, and some of the players are (depending on if their clubs are registered). But the Croatian league and team is not. Trash game from trash company honestly didn't deserve the sliver of publicity this article gave it. Whilst I'm not exactly a huge fan of EA... it's hard to conclude anything other than Croatia being the biggest loser from this. The amount of people that pass up buying FIFA because the Croatian football team aren't on it, with the utmost respect to the beaten 2018 World Cup finalists, is going to be bordering... zero. So, why wouldn't you just take the money and run...?! @misterMike yea, I get that. You'd still think they'd take the money and then just make it disappear, rather than investing it back into the game as opposed to just flat out turning it down! If it was me, I'd invest any and all gaming related revenue into competitive gaming/eSports for the association. That's an area where the sport has a much more level playing field, versus the atrocious sums of money that are in the English, Spanish, German, and Italian games, in particular. @misterMike Yep, seems the most logical explanation. I do find it hard to believe that KONAMI could out bid EA, but I guess it's possible if they targeted a handful of teams and Croatia seems a pretty smart target given recent performances and current star players etc. @misterMike Yep, that's also true, but then it's odd that the Croatian FF are telling EA to pay more, as that would undermine their relationship with KONAMI if there was exclusivity in play. I think exclusivity can be ruled out. My assumption would be that KONAMI paid Croatia a sum that was calculated in line with a unit forecast for the game. When EA offered their sum, the Croatian FF calculated the amount based on FIFA's enormous unit sales last year and concluded that it was too low an offer. That scenario would at least make some sense. I can kinda see why EA would offer less though... the unit sell through on FIFA versus PES is just crazy amounts. Croatia was in FIFA 18's World Cup mode along with several other new countries like Costa Rica, Serbia, Tunisia, Senegal, Panama and Morocco that weren't included in the main game. But during the transition from FIFA 18 to 19, EA didn't include any of them including Croatia. You could just take the Croatian team; Dinamo Zagreb and replace all of their foreign players with Croatian national team members likes of Modric, Rakitic and Lovern, but you can only do this during off-line matches. Hideous amount of money it has to be said. So yea, you can see Croatia's point of view on this... but some money is better than no money, so it's still a bit silly that they didn't reach an agreement. @Chayshirin even better, just "Random: Croatia isn't in FIFA 19"
No need for the question. If people want to know why they'll click like the good old days. These "here's why" headlines are the bane of journalism these days and I'd rather not see them creep onto this site. It looks desperate. @Baker1000 @Chayshirin Nothing clickbaity about this. Placing second in the World Cup certainly qualifies Croatia as one of the world's best teams. But if you don't follow the World Cup, you may not know that they even earned the silver. "Croatia isn't in FIFA 19" sounds a lot less interesting than "One of the best teams isn't in FIFA 19." Sounds like a more informative, more professional headline to me. From what we have on NL is only a short step to "What national teams AREN'T in FIFA, number 3 will AMAZE you"
@Baker1000 I agree. Nintendo Life is a lovely place and I would hate to see it descend to that level. And btw Ronaldo is no longer in Real Madrid! The accompanying photo must be from an older version of the game. @Dr_Corndog I follow football, I watched the World Cup. This site is mainly a British source, and Croatia beat England in the semi-final. Writing "Croatia" would've generated the clicks from those interested. I don't disagree with labelling them one of the best teams in the world (at that World Cup) but the headline actually lead me to believe they were talking about a football club, perhaps one such as Real Madrid (hence the photo) or another top European club. It is a clickbaity headline. It's designed to make people click to find out which team, not click to find out why. Nintendo Life know half of American readers wouldn't have clicked to find out why Croatia aren't in the game, they don't care - it's Croatia, not Germany or Brazil. I don't know how things are in America, but I can tell you in the British online media this kind of clickbait headline is becoming a plague. Particularly local newspaper websites that post articles to Twitter. Sorry, but it just annoys me and I want better for this site. @janpampoen yes they are!!!!!! If their club team is in the game they are in. Which is most of both. @DockEllisD if their club team is in the game then yes. Which is most of them. Most of both those squads play for teams featured in the game. The big names for sure. @EmmatheBest What's your problem with the game? @Dog - It was developed by EA for one thing. The second thing is the lack of accuracy, which I'm sure you already know about, considering the title of this webpage.